This was a commission for a cover of Nature magazine. 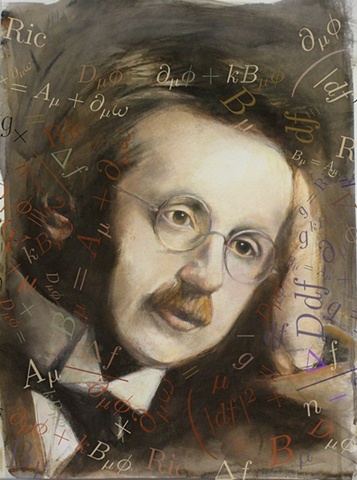 Dr. Luis Amaral's lab at Northwestern published a paper in the journal and needed a cover image of Mr. Weyl, whose theories were used to write the paper. The math symbols are used as a design element and function as vectors. That is why they are peppered throughout the image.